Norwich International Airport is about 3 miles to the north of the city. The airport provides links to over 70 European and 400 worldwide destinations via the international hubs of Schiphol and Manchester airports. There are also direct links to various UK and European destinations. Disabled parking spaces are found in the short stay car park, which is located close to the passenger terminal. The Airport Park & Ride bus service stops outside the airport terminal but does not operate on Sundays. 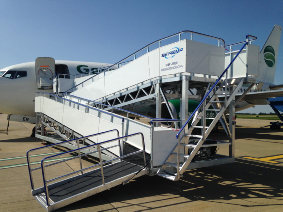 Accessibility for Disabled Passengers is good and for all general enquiries or assistance please contact the PRM (Passengers with Reduced Mobility) Desk on 01603 420672 or Mobile on 07833-403180. This desk is manned during all airport opening times. If you are planning to fly and have a medical condition then please read the relevant page on this web site. 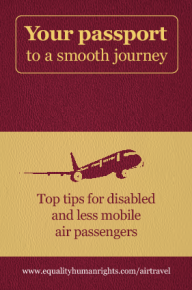 Want to know what your rights are as a disabled passenger when you take a flight in Europe then check this out?